Be ready for the next revolution. We take care of you. 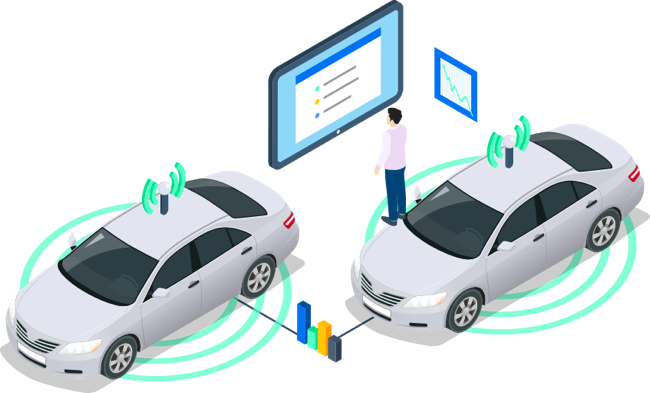 As a leading Operating System within the area of new transportation models, OpenFleet Mobility Lab is working on technologies aiming at including autonomous vehicle architecture on our online platforms. Indeed, OpenFleet Tech Team is currently taking part in several workshops and R&D programs with several world-scale OEMs dealing with autonomous vehicle integration. Because the 3rd Industrial Revolution is coming through, OpenFleet will support your project team with your autonomous vehicle network deployment strategy. Contact our Team for more information .